In honour of National Martini Day, we are reposting this article which first appeared on this site in September of 2016. 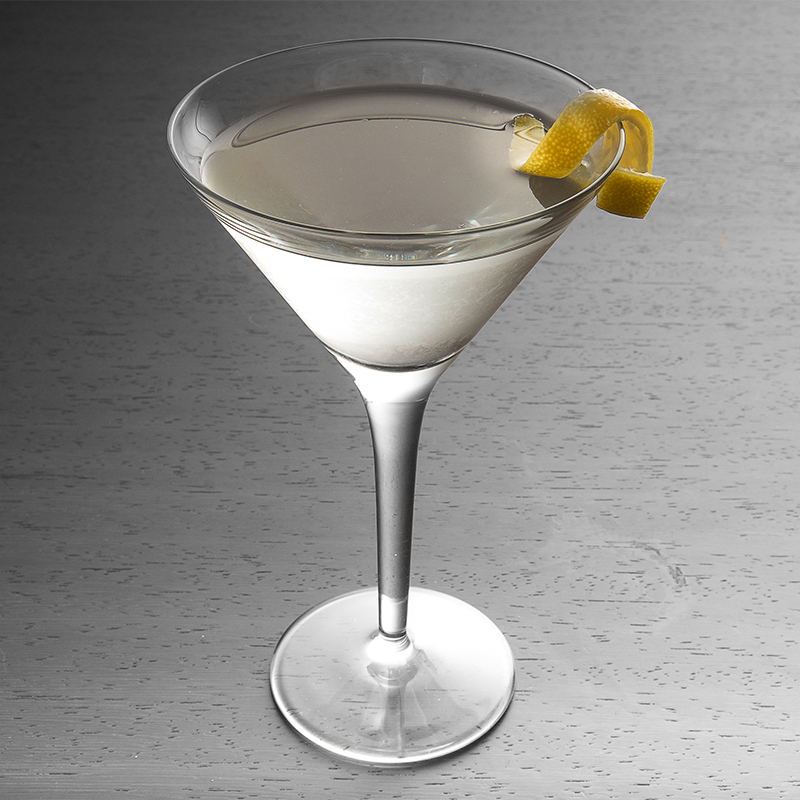 The Martini is a simple cocktail with just two ingredients; Gin and Dry Vermouth. It should be stirred with ice and served straight-up in a chilled Martini glass. A garnish of lemon peel or olives can be added. Given those simple rules, it is amazing how often restaurants and bars fail to serve a Martini. You will note that I stated that a Martini has two ingredients; the Dry Vermouth is an integral part of he drink. Churchill is quoted as liking his Martinis with ice-cold Gin and a bow in the direction of France. People are free to drink neat Gin if they so wish, but do not call it a Martini. When preparing a Martini there needs to be a proper measure of Vermouth. A few drops or a rinse of the glass is not sufficient to create the proper balance between the two ingredients. I tend to use two parts Gin to one part Vermouth. One reason that bars may avoid using enough Vermouth to have an impact on the taste is that they are pouring it from a bottle that has sat on the shelf for weeks. Be very suspicious of a bar where the Dry Vermouth is not refrigerated. Unlike Gin, which is a distilled alcohol and will keep for months once open, Vermouth has a wine base. It should be chilled after opening and even then has a life measured in weeks at most. I buy Dry Vermouth in half bottles and still end up throwing much of it away. James Bond may be a great spy, but his taste in drinks is a little suspect. 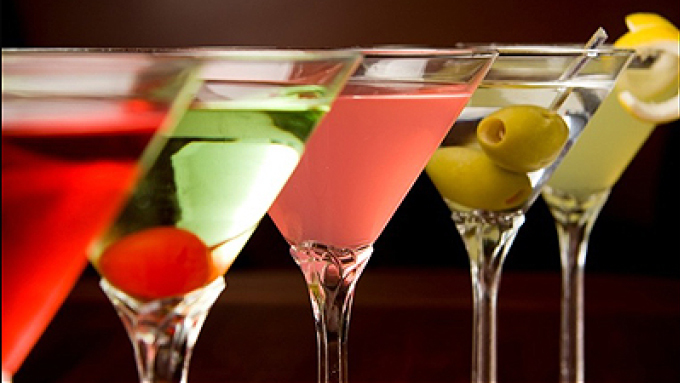 His request for a Martini to be “Shaken, not stirred” has led a generation of bar-tenders to mix the drink incorrectly. A shaken Martini will have thin shards of ice that gives the drink a cloudy appearance. Moreover, the slivers of ice change the texture of the drink in your mouth. It looks less impressive and takes longer to stir the drink, but the end result is far better. Do not pour olive juice into the drink, this will obscure the gentle botanicals of the Gin and Vermouth. A twist of lemon peel looks great. I am not a fan of olives, but if you wish to add them, tradition states that there should be an odd number; one of three is acceptable – two is not. 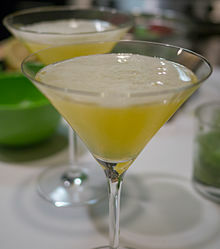 Adding a cocktail onion causes the cocktail to cease to be a Martini and become a Gibson. The choice of Gin is vital and deeply personal. I enjoy Hendricks and St George’s Botanivore. The latter is distilled in The Bay Area and I cannot speak to its availability outside of Northern California. 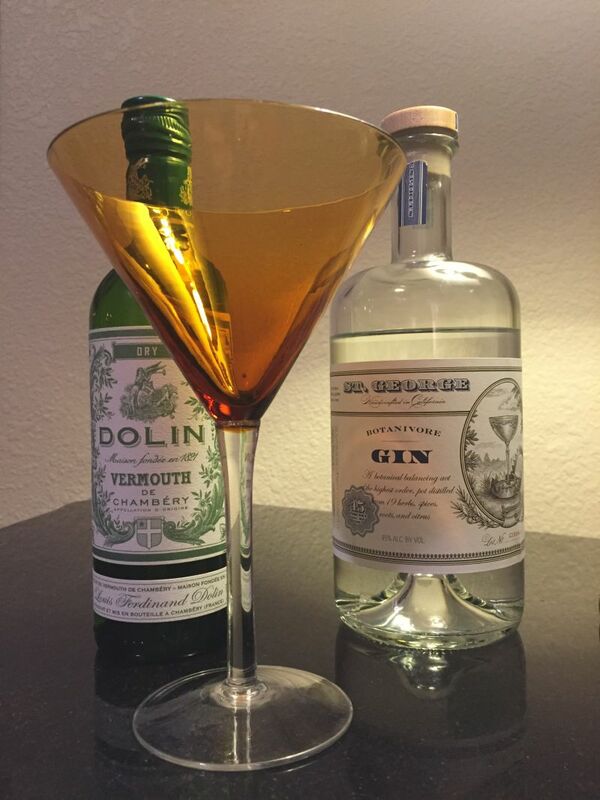 My Vermouth of choice is Dolin. CaliforniaGirl Comments: Whilst The Brit is a cocktail purist, I am a heathen enjoying the unforgivable sin of “martinis” such as Cosmos and Lemon drops. Apparently, these are not acceptable. He does make great examples of these drinks though using my favorite Hangar One Mandarin Blossom Vodka! I often tease him that one day he will retire from his high-tech job and become a mixologist. He’s hilarious. I had no idea that 007 had it all wrong! The horror! :O I am embarrassed to say that my tastes tend to be more like your California Girl. And since I have had the pleasure of partaking in your famous Hangar One Mandarin “Martini”, I am forever smitten with that one in particular.